It’s the WHY…that makes Festa-Nic special. Central Pennsylvania has an abundance of large and small specialty food and beverage manufacturers making high quality consumer goods that help to fuel our local economy and support our families and our communities. Friends & Farmers Co-op is our non-profit fundraiser partner and they are helping to fuel the excitement and participation in Festa-Nic. 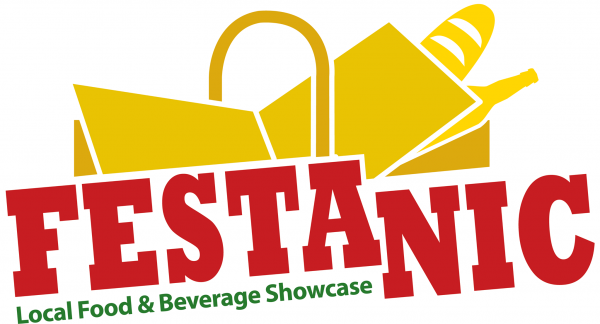 Village Eatinghouse, a local producer of Artisan Kitchen Sauces, hosts the 1st Annual Festa-Nic, showcasing the wide variety of local food and beverage producers, supportive businesses and organizations in Central Pa. Proceeds will benefit Friends & Farmers Cooperative, an organization promoting the production and consumption of locally grown and produced food. 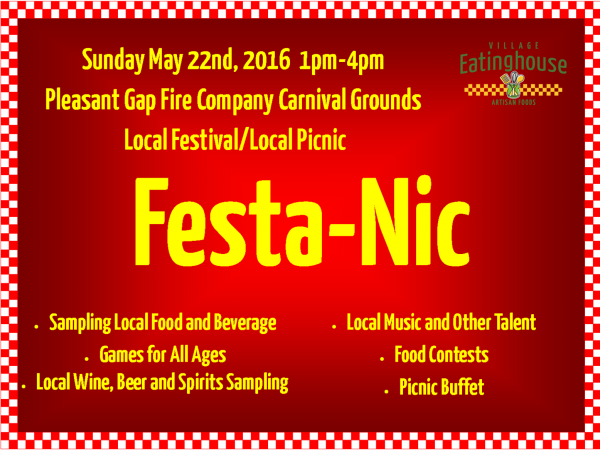 Your $10 admission fee (kids 10 and under are $5) gets you a locally sourced picnic, tastings from participating local producers (no charge for beer, wine and spirits sampling), seminars from community organizations and businesses, backyard games, live music from local musicians, raffle and door prizes, and opportunities to connect with people and organizations supporting local. Many of these producers will also offer their products for sale at the event.